Bethany Smith at last year's DELTA-Con. Are you interested in facilitating a discussion on innovative teaching strategies or incorporating instructional technologies in the classroom? 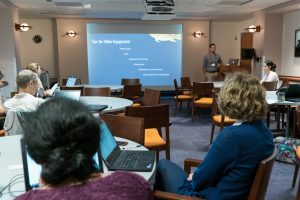 Consider submitting a conference session proposal for DELTA’s Summer Shorts in Instructional Technologies program and sharing your success story with other faculty and staff. You may submit proposals from April 16 until May 31. The Summer Shorts 2018 program, themed Take the Wheel: Driving Student Success, will be four days with a pre-conference added this year. Look forward to participating in technology workshops the week of Aug. 13-17. Each year there are around 55 to 70 unique participants, with half of the conference sessions being facilitated by faculty and staff from across campus. Summer Shorts is an opportunity for educators to share their expertise and give others a kickstart to the fall semester. “People coming for the first time will say ‘this is exactly what I needed to get going with my online or blended course,’” said DELTA Program Coordinator and Trainer Allie Giro. Summer Shorts will offer three tracks: innovative instruction, teaching online and student engagement, with sessions specific to each track. Christopher Beeson leading a session at Summer Shorts last year. Although the program usually offers NC State faculty and staff two days of in-person sessions and one day of online sessions, DELTA is adding a pre-conference and continuing DELTA-Con, which began last summer. The pre-conference day will be included on Monday, called WolfWare Boot Camp. Several sessions teaching faculty about academic technologies at NC State will be held throughout the day, and participants can choose to attend one or all of the sessions. Other additions include a “Speed Geeking” session on Wednesday. Speed geeking, or speed dating with technology, will allow attendees to view multiple quick presentations about different tools and topics. Presenters will be given five to eight minutes to demo a process, give a short talk and answer questions before moving on to the next group. The program will also be introducing a Q&A panel on the Online Course Improvement Program (OCIP) pilot on Wednesday. OCIP is a collaboration between faculty and DELTA to create the first online courses at NC State certified for quality by Quality Matters (QM). QM is an internationally recognized program that offers quality assurance in online and hybrid courses, including a rubric and a process backed by research that focuses on continuing to improve course design. The panel will include faculty who participated in the pilot program which launched in spring 2018. Summer Shorts will be holding its second annual DELTA-Con on Friday, the last day of the program. DELTA-Con is open to all people from across the UNC System and private institutions. It is an unconference with no formal structure, allowing people to decide what is discussed at the start of the day. 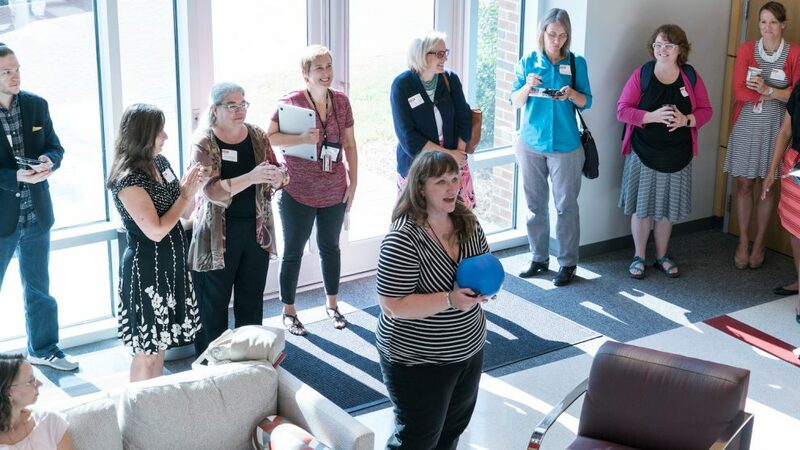 It gives faculty and instructional support staff from a broader community a chance to brainstorm ideas together for improving student success. Past sessions have covered topics such as best practices to facilitate active learning, collaborative group projects, accessibility and more. Conference session proposals will be accepted from April 16 until May 31. Visit go.ncsu.edu/summershorts for more information about proposals and registration for the 2018 Summer Shorts program. Conference registration begins July 5.